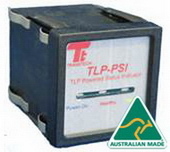 The Transtech high energy series TLP-Pxxx surge protectors are designed to be installed in the Main Switchboard to provide the first level of protection. The range offers L-L, L-N, L-E protection, dual colour LED’s and a relay output as standard – with many options. The Transtech TLP-150/CATB series is a compact model specifically designed for Sub Boards and CAT B applications, it offers L-L, L-N, L-E protection with a high energy design. 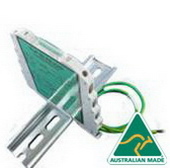 The Transtech “Slimline” TLP-SF series of series filters covers the range from 20Amps to 63 Amps with a 3 Phase range of 32 and 63 Amps. This range of surge protectors covers the Instrumentation market for such things as analog 4-20mA loops, field transmitters and bus RS-485 applications. This range of surge/lighting protectors covers the basic needs for the communications market, RJ45, N Type & Bulkhead Type. TLP Accessories Remote Panel Indicators and Modbus built-in Interface. The accessories from Transtech to complement the above range includes Panel Indicators and an incorporated ModBus interface module.